D’Andrea, G., et al. Subpial Spinal Lipoma: Surgery with Intraoperative Monitoring of Neural Function and Review of Literature. (2016) Int J Neurol Brain Disord 3(3): 1- 4. © 2016 D’Andrea, G. This is an Open access article distributed under the terms of Creative Commons Attribution 4.0 International License. The thoracic duct and its tributaries transport the lymph into the venous system and can be damaged during anterior spine surgery because their localization in the thoracic paravertebral soft tissue. The Authors report a case of refractory and high-flow chylothorax complicating the postoperative course of a L1 corpectomy performed through a thoracotomic approach. An unexpectedly left side located thoracic duct at the thoracolumbar junction or a big tributary was probably damaged during surgery. Conservative treatment was first tried, however the chyle’s leak persisted and further increased despite all medical and nutritional adopted measures (low-fat oral diet, followed by total parenteral nutrition). Hence, surgical repair was indicated and performed with excellent results. The patient improved immediately, chest tubes were removed on the fifth postoperative day and one year after surgery there are no signs of pleural effusion. Chylothorax is an abnormal collection of the lymph in the pleural cavity, it is commonly classified according to etiology in traumatic, congenital, neoplastic and miscellaneous. The iatrogenic chylothorax complicates about 0,5% of the intra-thoracic procedures and represents the most frequent and important type among the traumatic causes (up to 80% of the trauma-related chylothorax) being the oesophageal resection its most commonly correlated surgical cause, with an incidence of iatrogenic chylothorax as high as 4% followed by pediatric cardiac surgery, with an overall incidence of 2,8% and incidental thoracic duct damage following subclavian vein catheterization. It is regarded as an exceptional complication of thoracic surgery with an incidence of less than 1% after pleuro-pulmonary surgery[5,6]. Spine fractures dislocations as well as anterior spine surgery can also be complicated by chylothorax but few neurosurgical papers are currently available about its management[7,8]. We report an iatrogenic high-flow chylothorax, unresponsive to medical treatment, which complicated the postoperative course of a L1 corpectomy. 55 years-old man after a lumbar spine trauma in 2011 complained of pain at level of the thoracolumbar junction and was carried to the emergency department of another institution. At admission, the patient was neurologically intact but CT scan revealed a L1 pincer fracture type A2.3. A percutaneous D12- L1-L2 fixation was performed. The patient recovered resuming his job and normal daily activities one month later. However he developed a disabling pain at the level of the caudal end of the right rod without clear relief after conservative therapy. Spinal instrumentation was then removed one year later and the patient’s symptoms improved. Three months later, the development of a segmental kyphosis occurred and further worsened at the 6-month radiological examination. The patient came to our observation and we first tried to restore the thoracolumbar stability through a D12-L1-L2 fixation (Figure 1.a) because he refused an anterior approach. However a slower, minimal but progressive worsening of the segmental kyphosis continued with legs’ pain and burning sensation and sphincterial disfunctions. The patient accepted a L1 corpectomy with the positioning of an expandable cage. After a left thoracotomy both the corpectomy and the cage positioning were carried out without evident intraoperative complications. Postoperative CT scan showed the correct positioning of the cage (Figure 1.b) but, during the fourth postoperative day, a chest tube output of 800 ml of a milky white fluid occurred. The high level of triglycerides (115 mg/dl) confirmed the diagnosis of chylothorax. We first used a very low-fat oral diet but unfortunately we noted an increase of the chyle flow (1000 ml/ day) and the chest X-Rays showed the presence of left pleural effusion (Figure 2.a). Total parenteral nutrition was then started with an initial reduction of chest output (600 ml/day). Unfortunately, there was a new, progressive and significant increase in the chyle flow reaching 1600 ml/day and chest CT scan revealed a huge left pleural effusion and an apical pneumothorax (Figure 2.b). The patient’s body weight decreased of 21% (55 Kg - 70 Kg) despite aggressive nutritional support reaching a critical clinical status. Two weeks later, surgical exploration of the chest cavity was performed and, 60 minutes before the induction of anesthesia, 200ml of cream with Methylene blue was administered, as reported by other authors[1,3,9]. With the aid of this methodology, a high fat content is marked, once the cysterna chyli is reached, is of great help in the localization of the exact site of duct damage. The chest cavity was entered and a great amount of milky fluid, in several pseudocystic cavities, was seen. A clear point at the level of the lateral aspect of D12 was identified with an important flowing of white fluid and silk stitches were applied until the milky flow ceased. An intercostal muscle flap and fibrin-glue were placed above the fistula and positive pressures together with Trendelemburg’s position were applied to identify other eventual points of leakage. At the end of the procedure, talc pleurodesis was performed and a chest tube placed. Post-operative X-rays showed an important reduction of the pleural effusion (Figure 2.c) and the chest-tube output quickly decreased to 30 ml/day and was removed on the fifth post-operative day. Three weeks later the corpectomy the patient was discharged to rehabilitation in good neurological condition and the 1-year follow-up chest X-rays showed the absence of pleural effusion. The thoracic duct is the major lymphatic vessel originating on the anterior surface of the first lumbar vertebra from the cysterna chyli and ending in the neck where it joins the left subclavian vein. It is located in the aorto-oesophageal recess on the anterior surface of the vertebral bodies. The thoracic duct then crosses to the left side at the level of the fifth or sixth thoracic vertebra. Considerable anatomic variations exist; Akcali et al. published an anatomic study on nine cadavers and analyzed its topographical relationship with the adjacent neurovascular structures. The thoracic duct was located in the midline at the level of the thoracolumbar junction in most cases, while in one case it covered the vertebral bodies like a web and a lower course to the left side has been described in two cases. Two different drainage systems without the cysterna chyli and a bifid thoracic duct has also been described. The main lymphatic tributaries are located in the lower thoracic area both at the left and right sides, while in the upper thoracic area the tributaries are located mainly in the right side. Chyle is generated by the lymphatic system of the small intestine and contains fats, proteins, white-blood cells, glucose and electrolytes. 60 - 70% of ingested fats (mainly long-chain triglycerides, chylomicrons, cholesterol and fat-soluble vitamins) are carried to the venous system via the thoracic duct; conversely, medium-chain triglycerides are absorbed directly by the portal venous system. The main component of the chyle is the albumin, but a high quantity of immunoglobulins is also present. Lymphocytes represent the main cellular component so explaining the high grade of immune suppression in chylothorax. The volume of chyle varies between 10 and > 100 ml/kg correlating mainly to diet and degree of intestinal absorption. The volume of the chyle loss in the pleural cavity produces dyspnoea, cough and chest discomfort representing the typical symptoms of lung effusion. In chronic cases, weight loss, muscle atrophy, susceptibility to infection and electrolytes disorders may occur and aggravate the clinical course also to death. The management of traumatic chylothorax must repair the metabolic imbalances and the fissuring the thoracic duct fistula. Iatrogenic injuries represent its most important subgroup being the oesophageal resection the most commonly complicated surgical procedure (4%). Chylothorax following spinal surgery has been described first in 1977, and subsequently cases of chylothorax or chyloperitoneum following anterior spinal surgery and cervical neck dissection have been reported[7,8,10]. Chylothorax affects ventilation and blood oxygenation and can lead to severe malnutrition, muscle atrophy and immunodepression. A chest tube must be placed with careful monitoring of output and chyle’s aspect. First, conservative treatment should be attempted: a low-fat diet, rich in medium-chain triglycerides, is utilized to reduce the production of the chyle. Electrolytes and fat-soluble vitamins deficiencies must be corrected, infections should be aggressively treated. If the chest output does not decrease, total parenteral nutrition can be tried. Somatostatin and octreotide infusion has been also successfully used to reduce intestinal chyle production. In our patient, all these measures failed so that surgical exploration became indispensable. In general, a conservative treatment of maximum two weeks is recommended albeit it unlikely will stop a flow output exceeding 1,5l/day in an adult. Zabech et al reported that iatrogenic postoperative chylothorax requires surgical repair in almost 50% of the patient. Clinical features such as side of the effusion or amount of output depend on the site of the duct damage. In a large multicenter database regarding more than 75.000 pediatric cardiac patients, a surgical procedure was necessary to resolve chylothorax in just 8,9% of patients suffering from this condition, the remainders, were treated with a conservative strategy. As general so in thoracic surgery 14 days of chylothorax refractory to conservative treatments is considered the maximum cut-off before the shift to surgical strategy is required[1,3,12]. For what oesophagectomy is concerned, the risk of iatrogenic chylothorax ranges between 1% and 9%, and requires surgical procedure in more than 60% of cases; these data points out to a noticeably lesser incidence of such complication in thoracic, cardiac and spine surgery in respect to oesophageal resections[2,3]. Besides, one of the most important predictors of a successful conservative management is the volume of the chyle output[1,13]. Several authors have argued that an output greater than 10 ml/kg predicts the failure of a non-operative strategy[13,14]. In our patient, the output of chyle reach an amount as high as 1600 ml/die (between 25 and 30 ml/kg/die if the variation of body weight is considered), and definitively, our experience confirms the findings of Dugue et al.. The main lymphatic tributaries can be found both at the right and at the left side in the lower thoracic area and the surgeon should keep it in mind while exposing these regions remaining in the subperiosteal plane and ligating the soft tissues between aorta, oesophagus and vertebral bodies. 1. Nair, S.K., Petko, M., Hayward, M.P. Aetiology and management of chylothorax in adults. (2007) Eur J Cardiothorac Surg 32(2): 362-369. 2. Stager, V., Le, L., Wood, E.R. Postoperative chylothorax successfully treated using conservative strategies. (2010) Proc (Bayl Univ Med Cent) 23(2): 134-138. 3. McGrath, E.E., Blades, Z., Anderson, P.B. Chylothorax: aetiology, diagnosis and therapeutic options. (2010) Respir Med 104(1):1-8. 4. Mery, C.M., Moffett, B.S., Khan, M.S., et al. Incidence and treatment of chylothorax after cardiac surgery in children: analysis of a large multi-institution database. (2014) J Thorac Cardiovasc Surg 147(2): 678-686. 5. Terzi, A., Furlan, G., Magnanelli, G., et al. 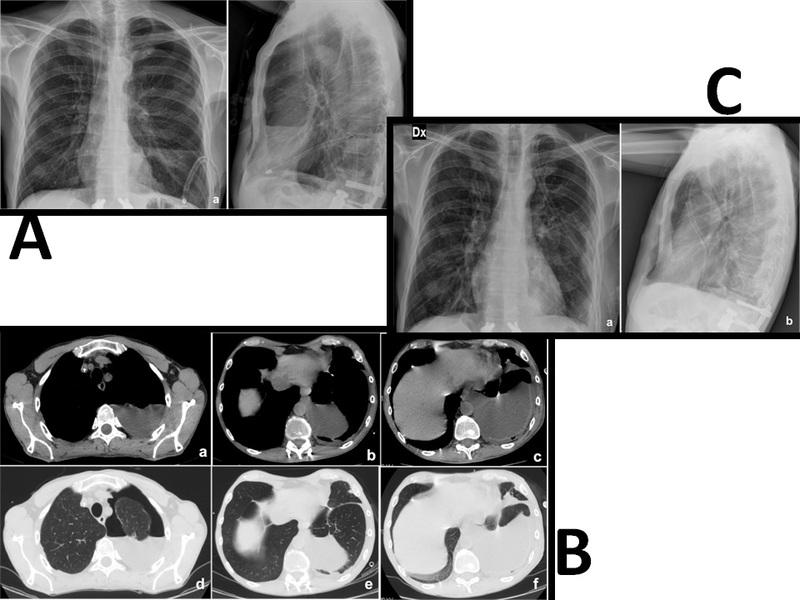 Chylothorax after pleuro-pulmonary surgery: a rare but unavoidable complication. (1994) Thorac Cardiovasc Surg 42(2): 81-84. 6. Vallieres, E., Shamji, F.M., Todd, T.R. Postpneumonectomy chylothorax. (1993) Ann Thorac Surg 55(4): 1006-1008. 7. Hart, A.K., Greinwald, J.H., Shaffrey, C.I., et al. Thoracic duct injury during anterior cervical discectomy: a rare complication. Case report. (1998) J Neurosurg 88(1): 151-154. 8. Akcali, O., Kiray, A., Ergur, I., et al. Thoracic duct variations may complicate the anterior spine procedures. (2006) Eur Spine J 15(9):1347-1351. 9. Robinson, C. The management of chylothorax. (1985) Ann Thorac Surg 39(1): 90-95. 10. Amini, A., Apfelbaum, R.I., Schmidt, M.H. Chylorrhea: a rare complication of thoracoscopic discectomy of the thoracolumbar junction. Case report. 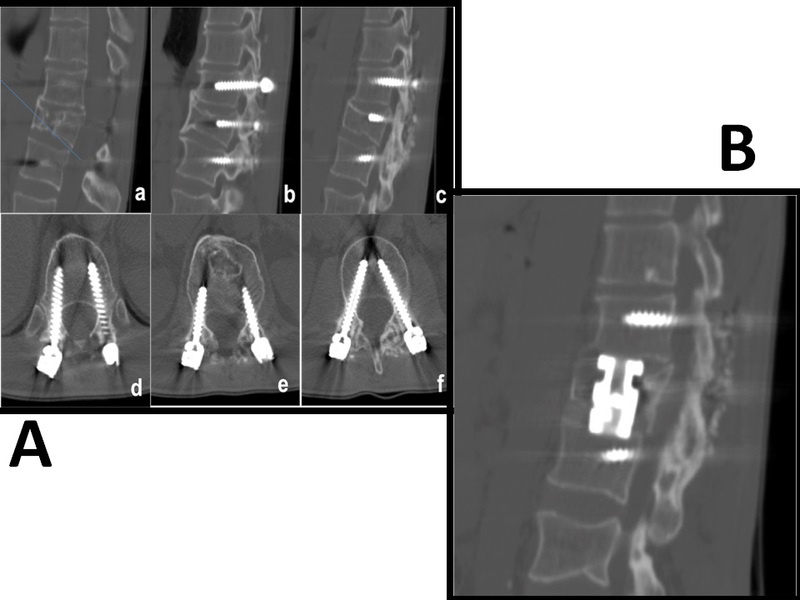 (2007) J Neurosurg Spine 6(6): 563-566. 11. Zabeck, H., Muley, T., Dienemann, H., et al. Management of chylothorax in adults: when is surgery indicated? (2011) Thorac Cardiovasc Surg 59(4): 243-246. 12. Schild, H.H., Strassburg, C.P., Welz, A., et al. Treatment options in patients with chylothorax. (2013) Dtsch Arztebl Int 110(48): 819-826. 13. Shah, R.D., Luketich, J.D., Schuchert, M.J., et al. Postesophagectomy chylothorax: Incidence, risk factors and outcomes. (2012) Ann Thorac Surg 93(3): 897–904. 14. Dugue, L., Sauvanet, A., Farges, O., et al. Output of chyle as an indicator of treatment for chylothorax complicating oesophagectomy. (1998) Br J Surg 85(8): 1147-1149.